Doyle throws four pitches, typically sitting in the high 80s up to the low 90s with his fastball, which comes in both two-seam and four-seam varieties. He also throws a curveball, slider, and changeup. Doyle will compete for a spot on the Boston roster, but is likely ticketed for the Pawtucket staff to start the year. Doyle was selected in the Rule 5 draft by the Minnesota Twins last season, but was returned to the White Sox before the start of the season. Since Doyle has not been added to Boston's 40-man roster, it is possible that he could be selected again. A slow, but steady, riser through the White Sox system, Doyle turned in a breakout performance in the Arizona Fall League in 2011, going 4-0 with a 1.98 ERA in eight starts, allowing 12 hits and five walks while striking out 22 in 27 1/3 innings of work. Doyle has strong ties to the New England region. Doyle played his high school ball in Salem, N.H., is a graduate of Boston College, and his family presently lives in Warwick, R.I., just up the road from McCoy Stadium in Pawtucket. 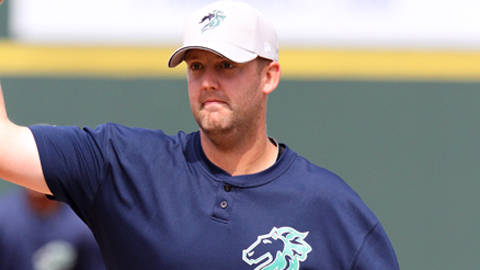 He is a veteran of the Cape Cod League, having thrown a no-hitter with the Yarmouth-Dennis Red Sox in 2006. He also gained some notoriety during his time in the minors by working as a substitute teacher in Rhode Island during the offseason.